Contact us or give us a call to discover how CMS can help. Today, CMS is the only company in the world that offers complete performance assessment, integrated corrosion assessment and repair services for tubular air preheaters. Our inspection and assessment programs provide an accurate and comprehensive picture of the entire air heater system, pinpointing all areas of tube damage and potential financial impacts. Our experienced inspection specialists start the process using custom-designed tools to inspect your equipment and look for damage that affects your daily performance and sometimes leads to unscheduled downtime. In addition, we have developed a proprietary Thermodynamic Impact Calculator that uses your own operating data to determine precisely where your system performance is impacted and what you are losing in the process. Our unique approach of first determining the “root causes” of plant operating problems has saved our customers millions of dollars and helped them realize payback on repairs and rebuilds in as little as a few months. Let us show you how our air preheater inspection, repair and replacement services can save you big in the long run! Is Your Operation Leaking Money? Installing mechanical plugs to isolate damaged air heater tubes is one short-term strategy for regaining at least some of your fan and boiler capacity and slowing down and the development of new tube failures. However, it’s important to realize that something is causing tubes to fail and that the damage mechanisms will still be at work even after the plugs are installed. Those problems are often cascading in nature, causing hidden inefficiencies and other issues not just in your APH, but throughout the process. A 2009 EPA study reported that just a 40˚F increase in outlet APH temperature results in a 1% reduction in net boiler efficiency. A 1% boiler efficiency penalty is commonly observed where just 12% air leakage has developed. Fly-ash based fouling or mechanically plugged tubes can result in similar performance impacts. Tubular air heater leakage can account for as much as 25% of total fan horsepower, not only using more energy, but decreasing the life expectancy of the fan and motor. Leaking air heaters increase emissions and reduce the effectiveness of downstream pollution control equipment because of increased fuel and gas flow. One problem leads to another, as temporarily repaired APH units actually decrease the surface area for heat transfer and thus the temperature of combustion air, while increasing gas outlet temperature, pressure drop and net fuel consumption. In many cases, boiler operators are forced to de-rate their plants due precisely to air heater leakage and fouling. Statistics from the NERC GADS database demonstrate that between 2007 and 2011 a total of 3,233,636 MWH of forced de-rates were due to “Combustion Air & Gas Causes”. The cumulative financial impact of air heater efficiency is rarely adequately measured or observed, but the results speak for themselves. By eliminating leakage in the system, plants can realize up to a 4% reduction in net fuel consumption. Not only do improvements to your APH units cut overall energy consumption, but they should help reduce your maintenance and waste disposal costs. If the boiler is the heart of your operation, then the air preheaters are its lungs. Ultimately, repair should extend the APH units’ life and everything that they touch in your system, from fans to boilers to pollution control equipment. In many cases, CMS customers have delayed repairs until operational impacts are already a significant problem. Often, by that time the rate of deterioration is so advanced that it can’t be ignored. Our calculator can determine this in advance before leakage balloons into a much bigger problem. A damaged air preheater is a liability that can cost you more than system efficiency and bottom-line profits. 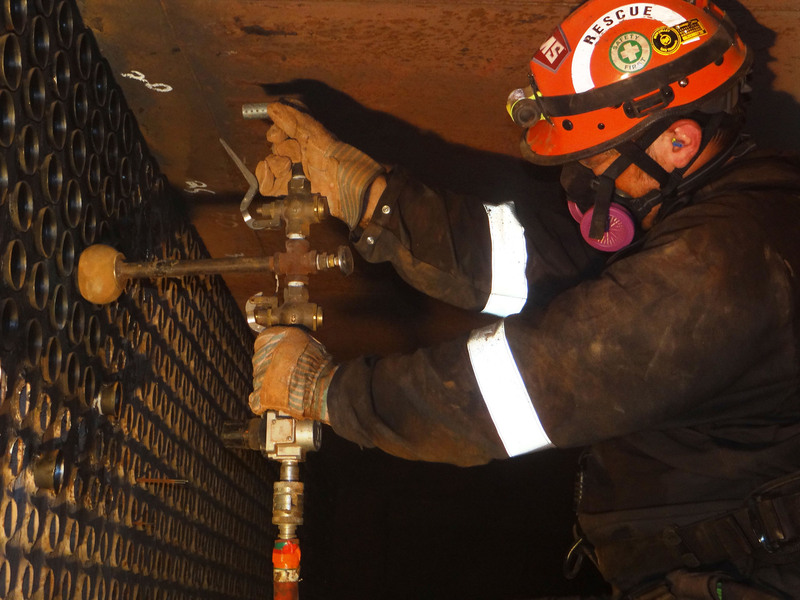 By eliminating air leakage and returning the air preheater to ‘as built’ or better condition with improved materials for erosion and corrosion protection, Corrosion Monitoring Services has helped boiler operators across the United States achieve and exceed their environmental objectives and operate at MAXIMUM operational efficiency. CMS works to ensure that your APH performs as designed and helps keep you operating safely within applicable regulatory requirements. CMS offers a complete range of inspection services that not only determine the exact extent of existing damage, but can also identify the root cause and its probable failure rate so that you can proactively plan your next steps for a longer-term solution. Our inspectors use acoustic eye, pressure testing and other inspection equipment and techniques to isolate corrosion and erosion damage in electric utility, steel, refinery, chemical processing, pulp & paper, biomass and waste-to-energy operations throughout North America. Comprehensive assessment programs conducted by the industry’s most experienced APH inspectors provide an accurate picture of air heaters and other critical equipment, pinpointing corrosion, fouling, and other damage that hampers operations, drains energy, and dilutes profits. After we complete any air preheater inspection, all of our findings and recommendations are detailed in an Executive Summary Report. Depending on the type of inspection performed, the Executive Summary might include corrosion rate charts, ultra-sonic readings, failure rate metrics, detailed tubesheet maps, and maintenance recommendations. The thoroughness of a CMS inspection helps identify where your equipment is damaged and is the first step toward ensuring that the condition of the air heater never compromises operational or pollution control objectives. Meeting those important objectives starts by hiring a contractor that has deciphered and solved nearly every air heater problem you can imagine – an experienced team member you can depend on. 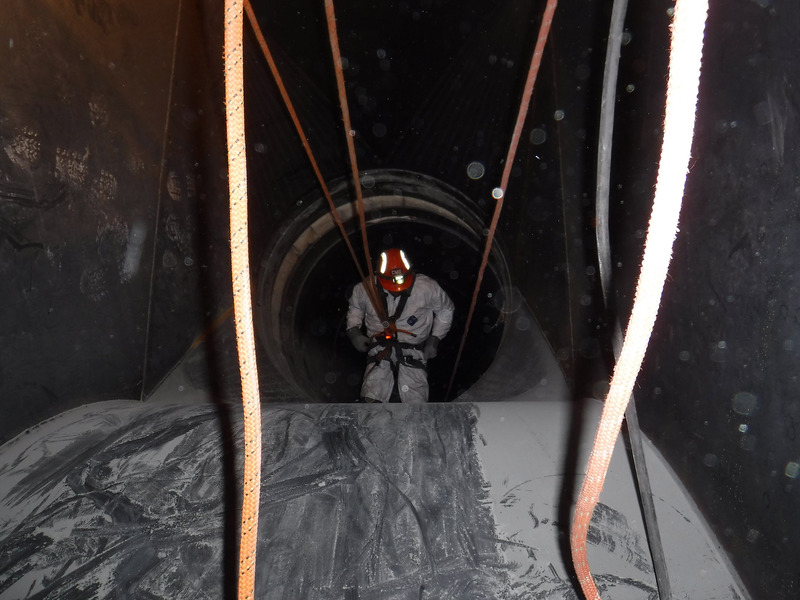 CMS offers high angle rope access inspections to assess difficult-to-reach or inaccessible areas. During a high angle inspection, CMS provides a highly trained inspector, who has also received 80+ hours of NFPA rope access training. In addition to inspecting your air heater, our professionals can check the condition of your ductwork, casings, expansion joints, hoppers and chimneys. Acoustic Eye Technicians perfom an inspection. CMS innovative acoustic eye inspection solution is designed specifically for detecting faults commonly found in industrial tube systems. These could include leaks, increases in internal diameter caused by wall loss, full or partial blockages, as well as other issues that negatively impact your operations. 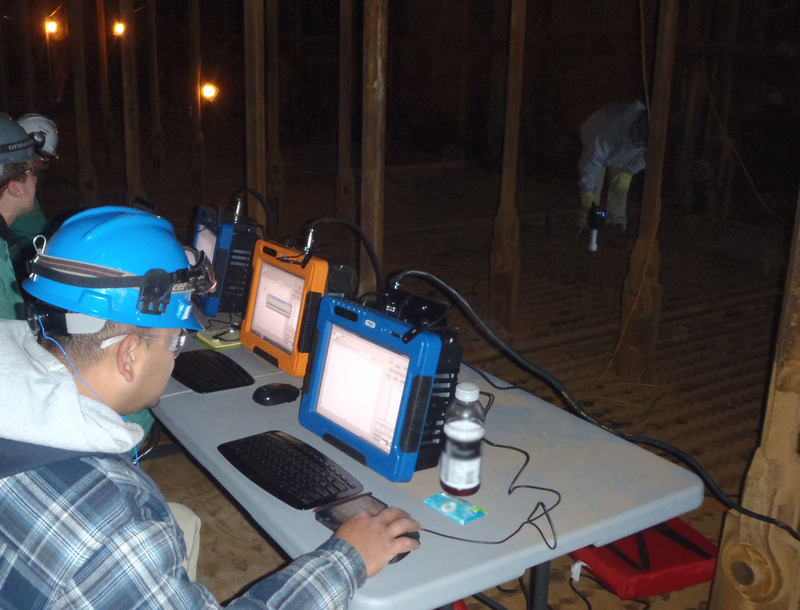 Using portable acoustic pulse reflectometry (APR) equipment, CMS inspectors direct one-dimensional acoustic waves at tubular systems to detect defects in cross sectional areas of the tubing. If the pulse encounters a discontinuity in cross section, a reflection is created, and we are able to quickly isolate problem areas. Once we’ve identified any holes, blockages, or other issues in your air heater or other equipment, we are able to repair those systems and improve your operating efficiency. CMS Acoustic Eye inspections are able to accurately identify the exact location, type, and size of tube defects without impacting outage schedules. Our acoustic eye inspection reports include information which enables the customer to plan tube repairs and replacements for improved operational efficiency and cost savings. Pressure testing is an effective tool that can be used to identify tube failures and determine the overall health of an air heater. During this procedure, a CMS inspector pressurizes each tube and records air leakage rates as they occur in damaged equipment. When our inspectors identify failed tubes, they remove them from service by installing a mechanical plug at each end of the tube. Removing a failed tube from service is a quick way to improve boiler efficiency and reduce fan energy. CMS recommends this option as a temporary-only solution to get you back up and running more efficiently. 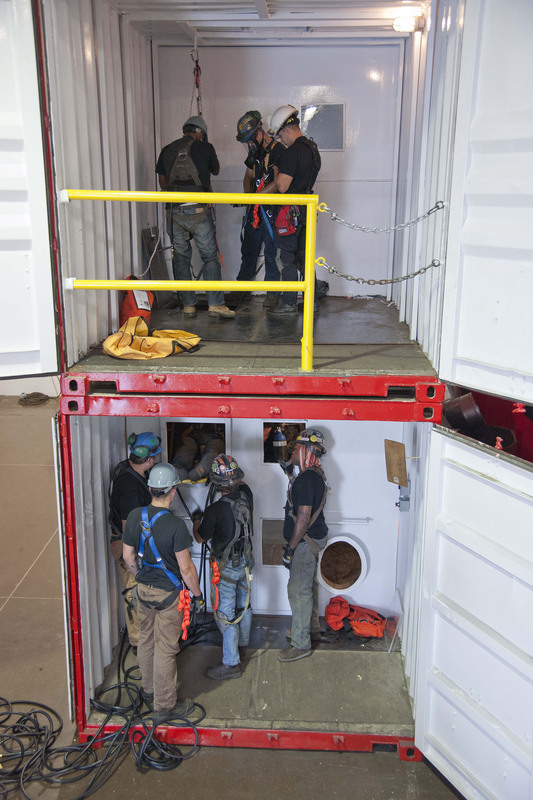 CMS inspectors being trained in proper inspection procedures in our full-scale tubular air heater training simulator. Our highly trained and skilled inspectors significantly enhance quality control and help prevent costly outages on equipment by evaluating wear and internal degradation. CMS inspectors are hand-picked and spend years in training before leading any inspection. We provide in-house seminars and training to ensure that our inspectors recognize, understand, and respond to each damage mechanism. Our staff communicates with your team on a regular basis to help keep you apprised of any significant findings that require immediate attention. After your inspection is complete, you will receive a comprehensive executive summary that focuses on the current condition of your air heater and the root cause for its deterioration. You can rely on our many years of experience to help ensure that you spend capital wisely during future maintenance and select a solution that is built to last.